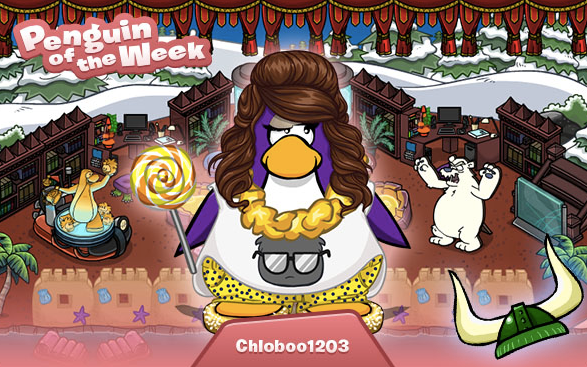 Club Penguin Cheats by Mimo777 Club Penguin Cheats by Mimo777: Penguin of the Week: Chloboo1203! She's POTW for donating? Something pretty much everyone else did. What, did she donate 1,000,000 coins and get more by playing games to deserve this, cause I also did the same, so its not fair, really.